With over 250,000 plastic pallets rolled out across 35 logistics centres that supply the brands stores, Intermarché has left the rented pallet behind in favour of setting up its own plastic pallet pool – a first in France for a mass-market retailing brand. The French brand chose the Craemer pallet, as it turned out to be the most successful during testing. 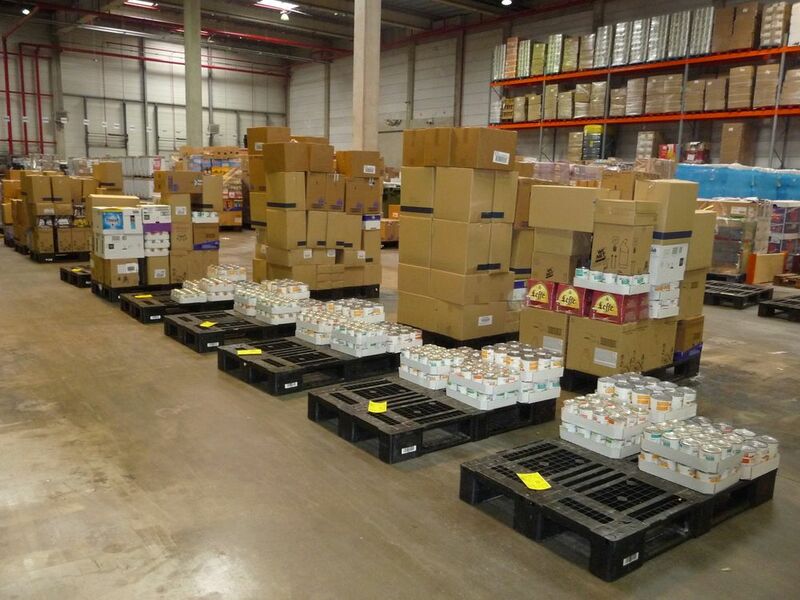 The Intermarché logistics team effectively carried out tests with pallets from six different manufacturers on four of their platforms over a period of almost two years. Three criteria were measured: the loss rate, the return rate and the damage rate. The latter was decisive in their choice. The Craemer pallet turned out to be extremely solid – contrary to the others – with a damage rate of only 1 per 1000, often caused by handling errors. Due to the one-piece injection moulding manufacturing process, Craemer pallets are much stronger than assembled pallets. Thus, ITM LAI acquired 60,000 plastic half pallets (model CR2, 800 x 600 mm) and 200,000 plastic Euro pallets (model D1 ECO, 1200 x 800 mm) from Craemer. The pallets are lightweight but robust and able to withstand significant temperature variations. 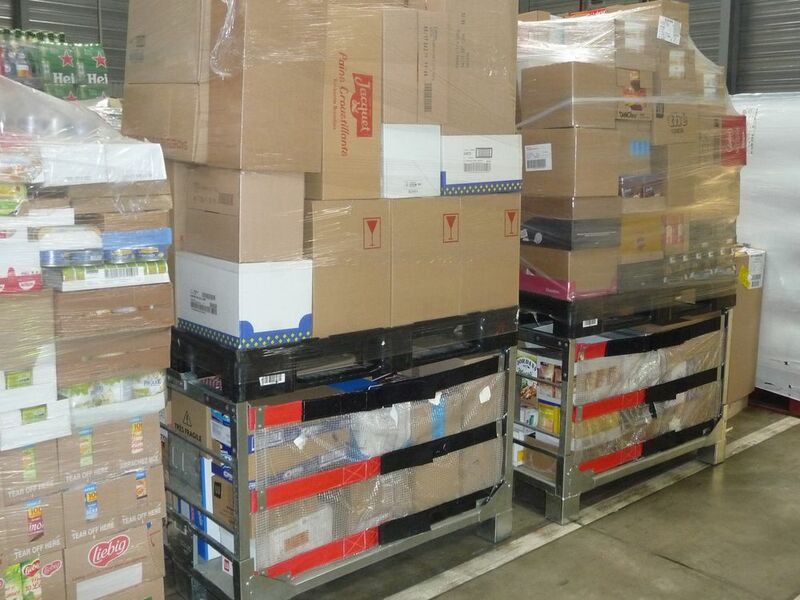 Order preparation at one of Intermarchés warehouse operations. Craemer pallets are positioned on metal collars before being routed through the aisles for order picking. Once picking is completed, the orders are delivered to the stores. 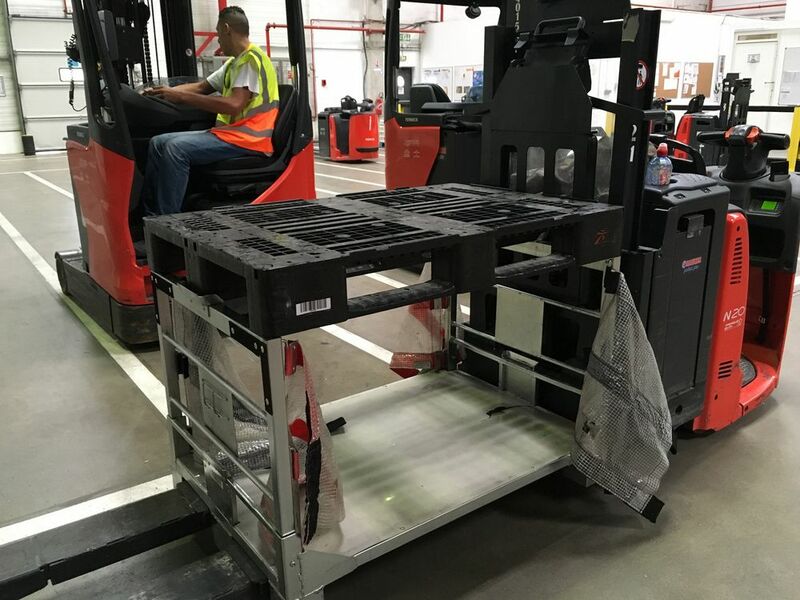 Beyond economic reasons, ITM LAI chose to replace wood with plastic in order to have a safer, lighter and more practical medium for the staff who handle pallets daily. In comparison to 22 or 23 kg for a wooden pallet, the plastic pallets are much lighter with a weight of only 14 kg. Their smooth surface facilitates handling operations with bare hands. With plastic pallets, the risk of hand splinters or injuries to the eyes is ruled out. “We are very satisfied to note a considerable drop in Repetitive Strain Injuries (RSI) and occupational accidents”, states Samuel Bidolet. The success of this change is also due to the fact that the personnel responsible for handling operations in warehouses and stores are convinced of the legitimacy of this change as Alain Peire, Packaging Manager at the company’s operations in Vimy, confides. “It is clear that absolutely nothing could possibly convince us to return to the wooden pallet”. There are multiple advantages in favour of the plastic pallet: contrary to wooden handling supports, the plastic pallet is resistant to humidity – perfectly waterproof and rot-proof. Furthermore, it also has better resistance to falls and forklift impacts than wood. Its tare weight and dimensional stability make it an ideal load support medium for use with handling equipment such as conveyors, palletisers, sorters, and stackers. matches our commitments. We decided to choose the D1 ECO Craemer pallet in regenerated HDPE from a perfectly identifiable source. This pallet is infinitely recyclable and once worn out over time, Craemer reclaims it to be recycled”, says Samuel Bidolet. This solution was implemented in 2015. It is totally operational and runs at full capacity. With 50 rotations a year and a damage rate of 1 per 1000, the objective has been attained. The Craemer pallet has proven to be not only more economic, safer and more practical but also more ecological than the wooden pallet. “We are very pleased with our partnership with ITM LAI and also to participate in the implementation of the logistics of the future”, concludes Bart Vandekerkhof.